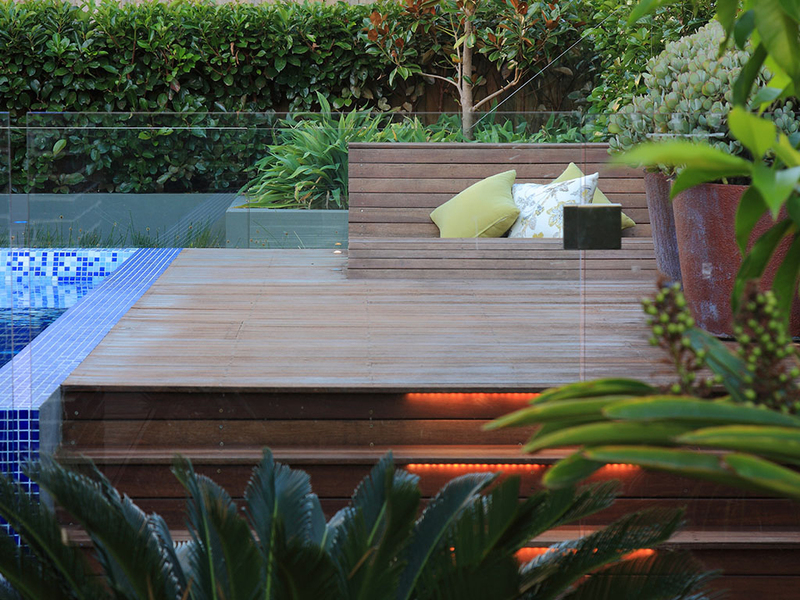 From the custom fabricated outdoor mirrors to the integrated lighting in the lounge deck and the tailor made stepping stones and feature plant pots this garden is bespoke from beginning to end. 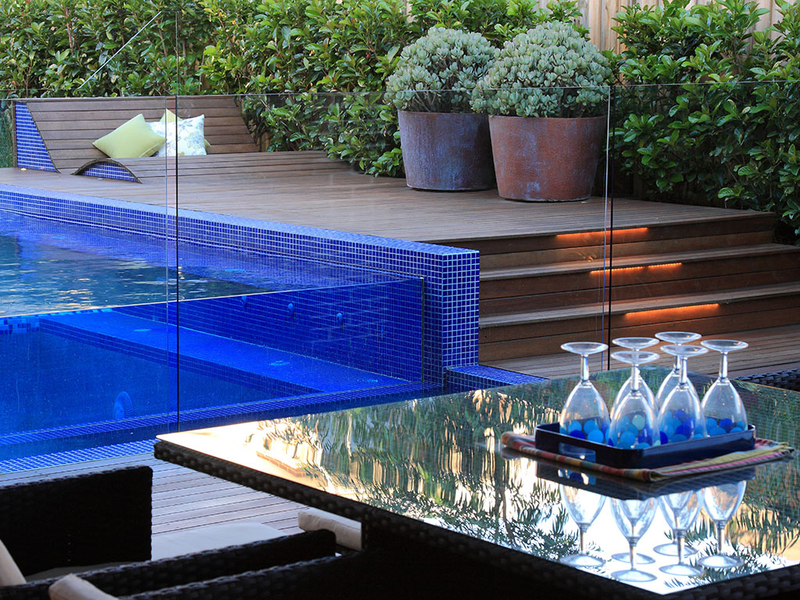 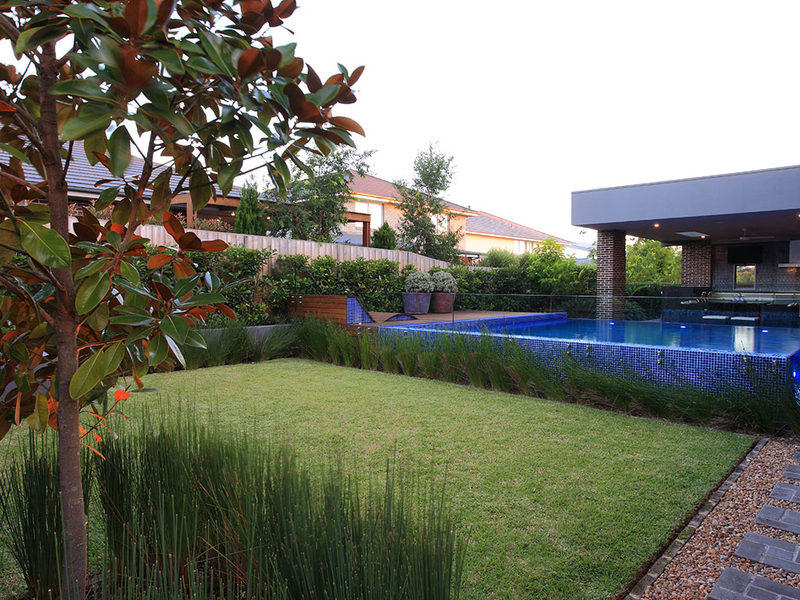 Minimal garden treatments were provided to accentuate the impressive pool, home and outdoor room elements. 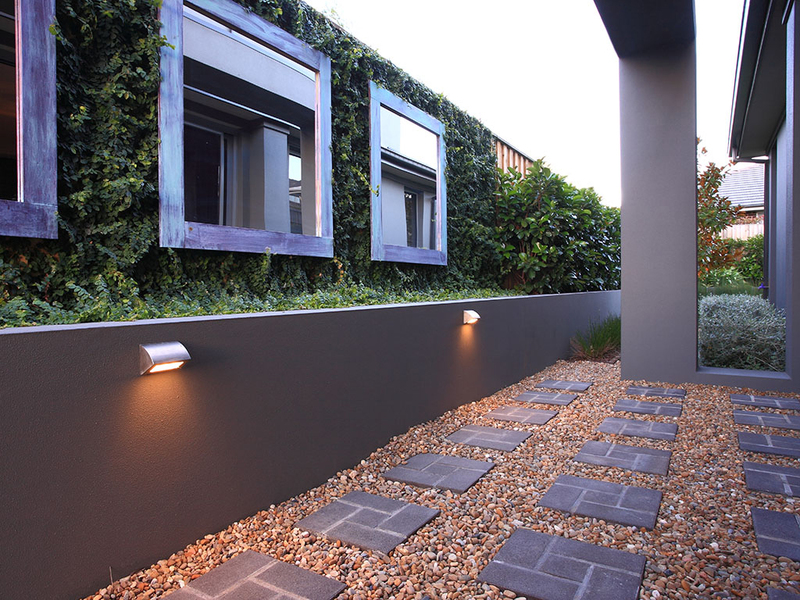 Designed for luxuriant living inclusions such as drip irrigation and LED garden lighting contribute to this award winning project. 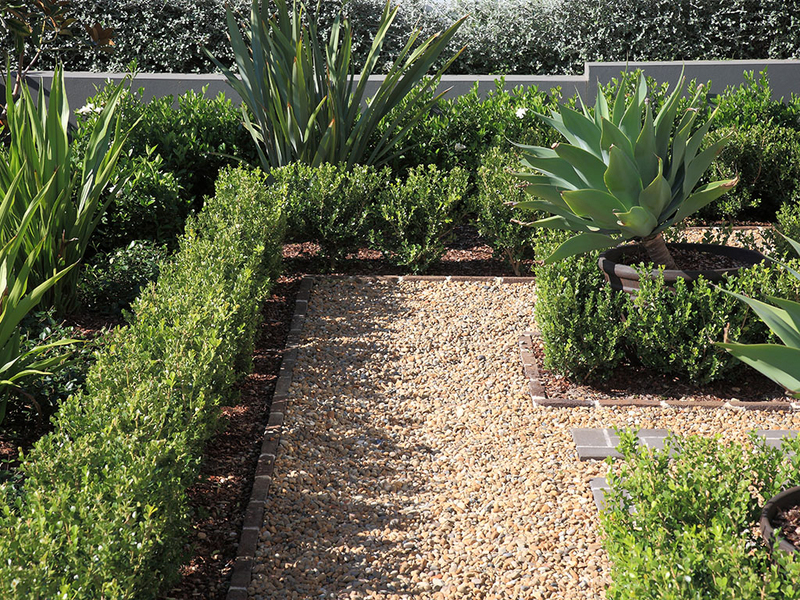 The main features of this landscape include the diamond sawn white sandstone pier caps, the brahman granite herringbone driveway, impressive formal plantings with features of specimen succulents in recycled pots.